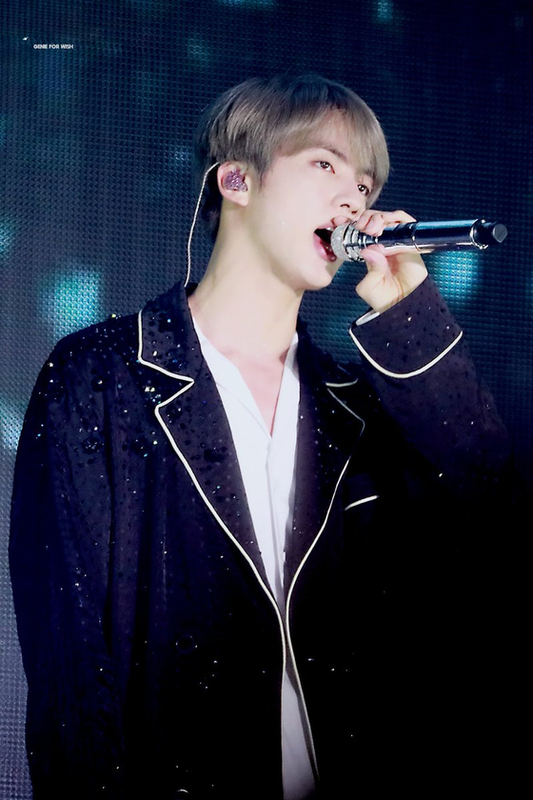 PHOTOS: BTS KIM SEOKJIN's Hong Kong Tour Alter-Ego?? 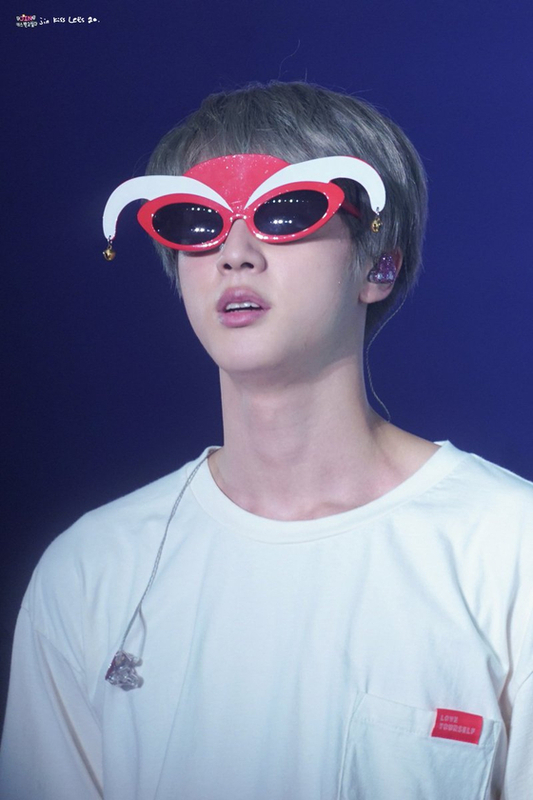 If you know anything about BTS's oldest member, Jin, you would probably know that he has a very unique sense of humor. Although perfectly able to be serious when needed, he definitely has another side to him. Unexpected and bizarre, nobody really ever knows what to expect next with him. 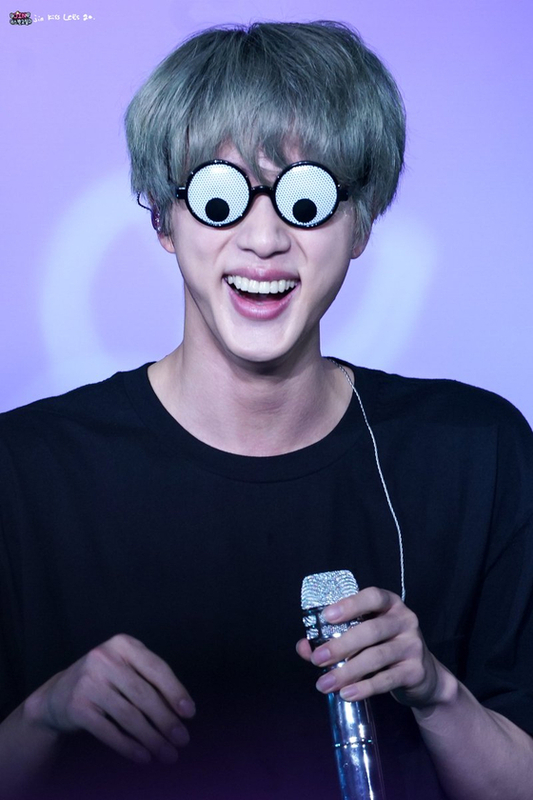 However, these quirky traits are just one of the many things that ARMY and Jin fans love about their boy. 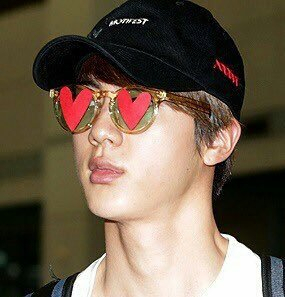 Recently, BTS made their way to Hong Kong after being back home in South Korea for awhile. 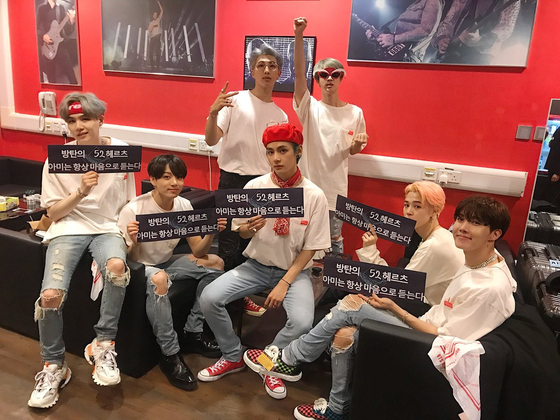 Continuing on their world tour, BTS has currently finished two of the four concerts in Hong Kong during this stay. 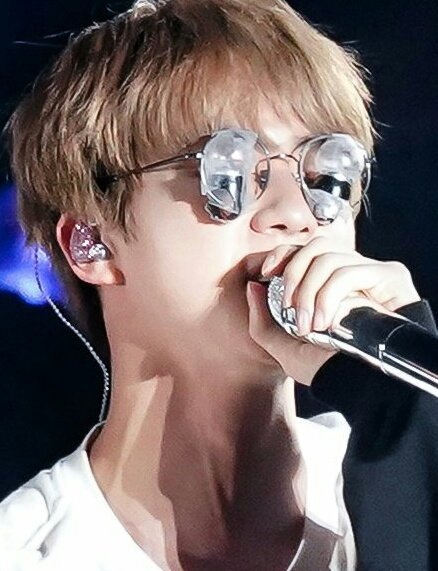 During their first Hong Kong concert on March 20th, Jin wore an unusual pair of sunglasses during part of their performance on stage. A quirky pair of red and white jester sunglasses, complete with little bells dangling off of the sides. 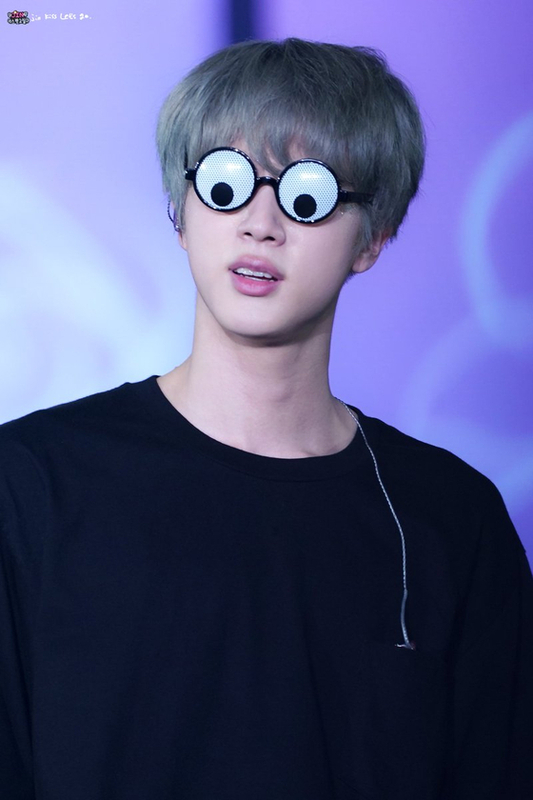 The next day, on March 21st, Jin once again came out with (what many would call) an even funnier pair of googly-eye glasses. 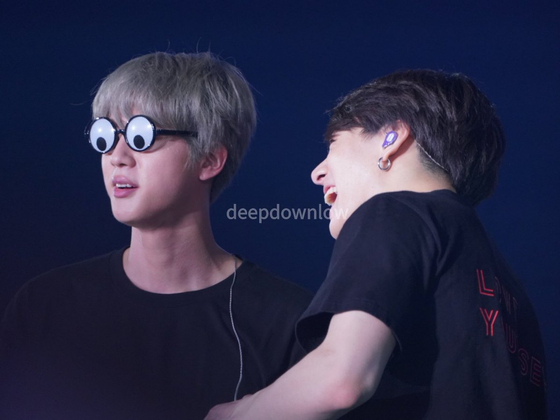 No matter his expression, everything is funny when Jin wears glasses like that! 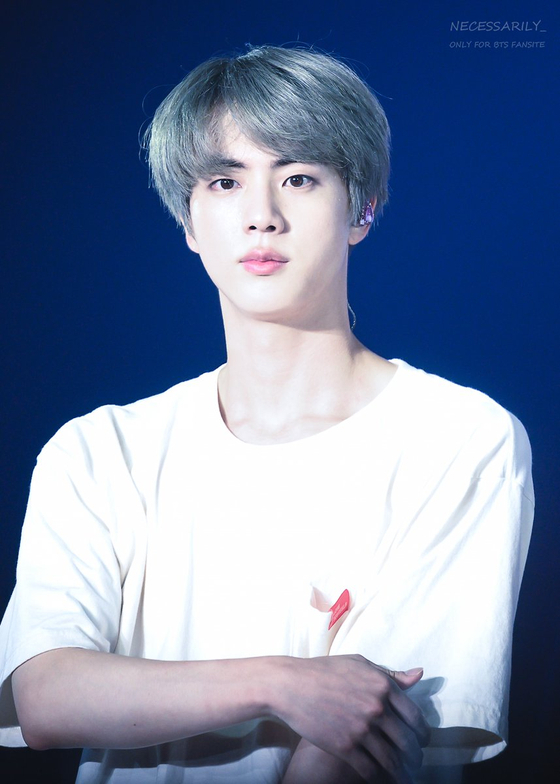 Fans' reactions to Jin were all of laughter and joy. 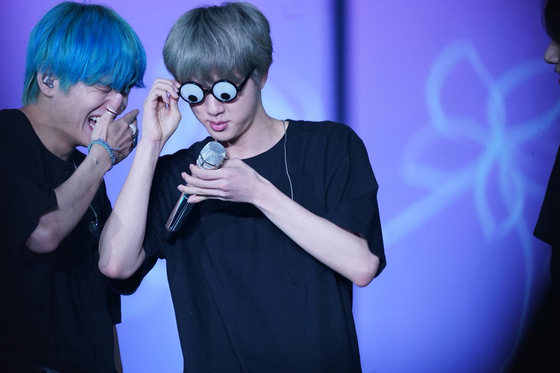 Jin's oddly hilarious humor brought the whole stadium to laughter as they enjoyed his lame jokes and cuteness. 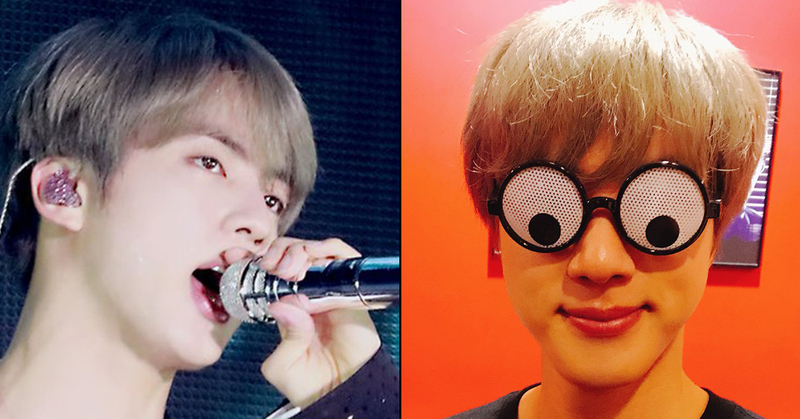 These last two concerts were also not the first time Jin has worn some odd glasses. He has worn some pretty interesting ones in the past as well! 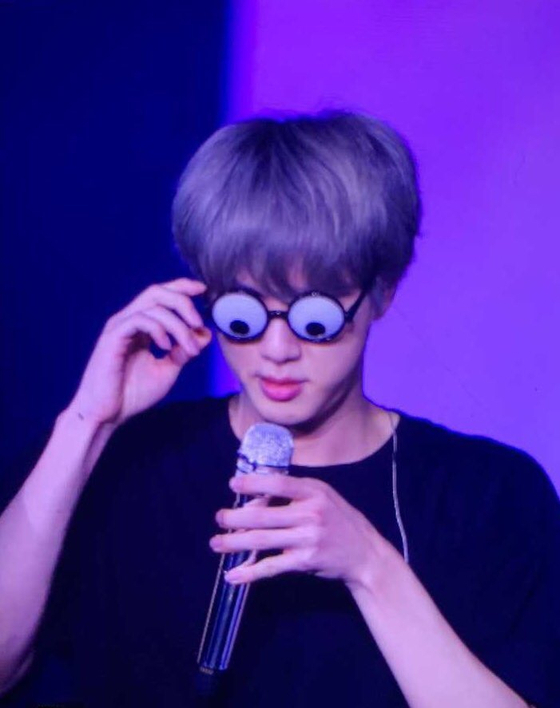 With two Hong Kong concerts left, there is some speculation that Jin will come on stage with new bizarre glasses to wear on stage for the remainder performances. 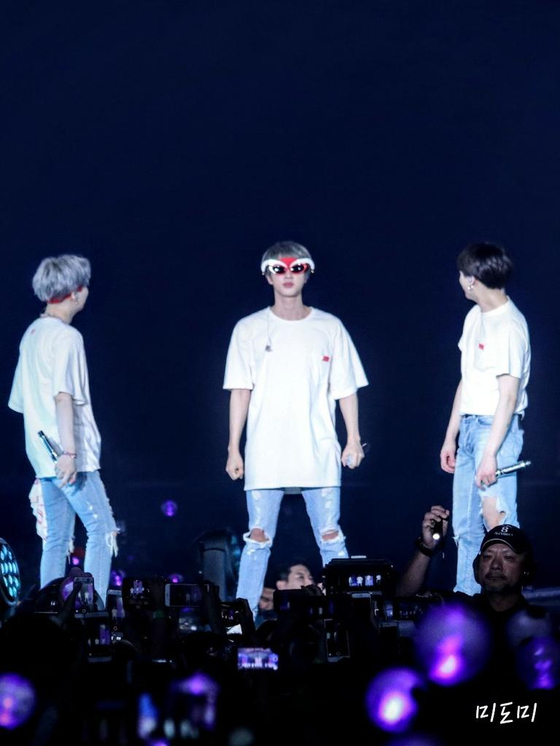 Do you Voomies have any guesses as to what Jin will wear next? Let us know in the comments!